This article was originally published in the University of Toronto Faculty of Medicine News and the University of Toronto Dalla Lana School of Public Health News November 16, 2016. Ontario plans to roll out a pilot project on guaranteed annual income early next year. The goal of the project, according a recent report by former senator and current master of Massey College Hugh Segal, is to test whether a basic income can produce better outcomes for recipients and lower costs for government than the province’s current mix of social programs. Two of the pilot’s key measures will be health and health care costs, and Segal’s report ties both to the growing problem of food insecurity, among other factors. Professor Valerie Tarasuk was one of many experts Segal consulted for his report. She is a professor in the Dalla Lana School of Public Health and the Department of Nutritional Sciences, and she has studied food insecurity for over 20 years. 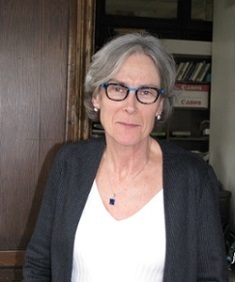 Ahead of this week’s food insecurity conference at U of T, Tarasuk spoke with Faculty of Medicine writer Jim Oldfield about Segal’s report, the devastating effects of food insecurity and how quickly a guaranteed income can make a difference for people who need it. What was your reaction when you read Segal’s report? One of the really wonderful things about Hugh’s report is that it names food insecurity as an outcome to look at. 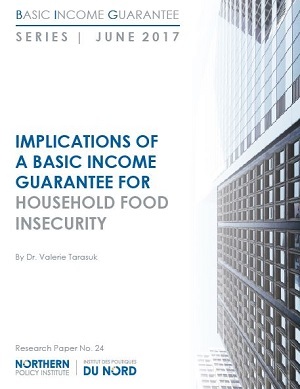 That’s fantastic, because research by us and others shows that low income means a greater probability of food insecurity. Moreover, the more extreme the food insecurity, the more toxic it is for health. So by the time a person is living with severe food insecurity they’re burning up well over double the health care dollars of the rest of us. 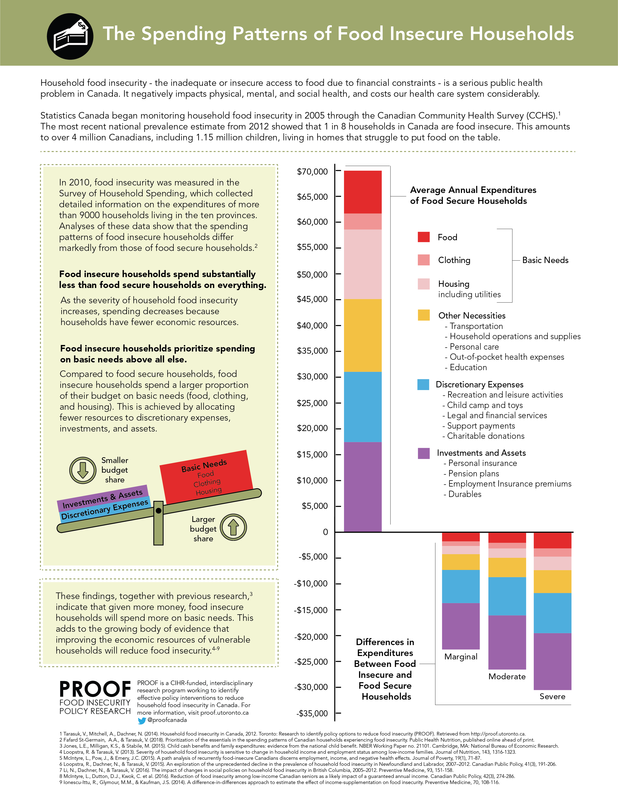 Food security is absolutely intertwined with income, and both are very tightly tied to health care spending. There are four million people in this country living with some form of food insecurity; it’s a major public health problem, so I’m very glad it gets attention in this report. Well, it’s devastating for mental health and physical health, and that’s true across the life cycle. Adults with chronic diseases like diabetes or HIV are less able to manage their conditions. They’re more prone to complications and negative outcomes, and they have higher mortality rates. 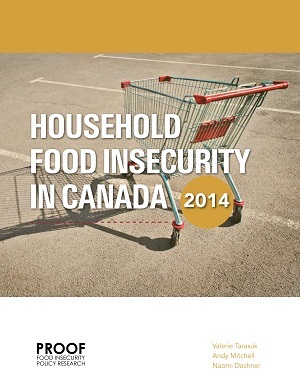 Household food insecurity affects one in six Canadian children, and as result they are at much higher risk for asthma, depression and other diseases. 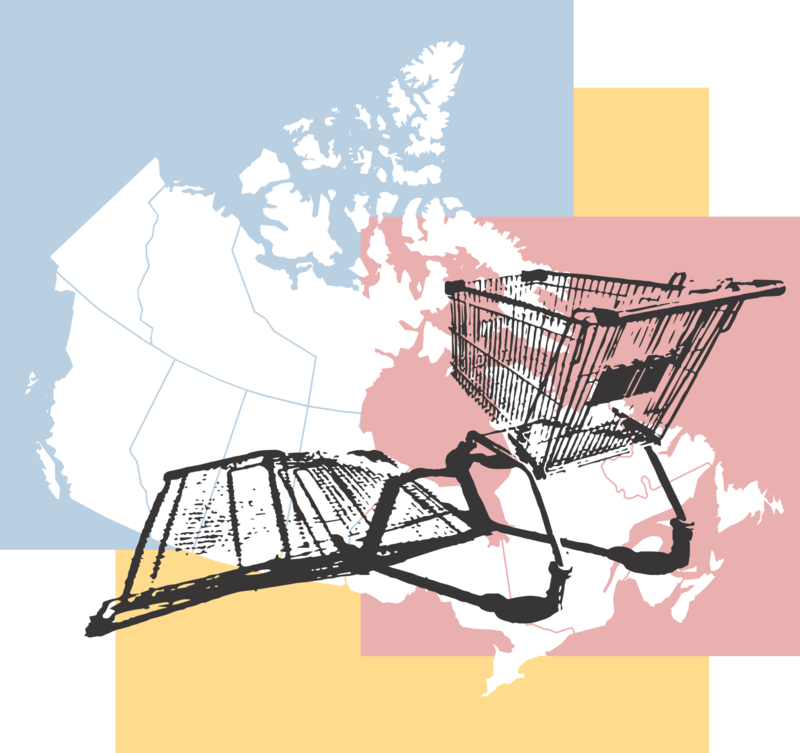 Although we’ve only monitored food insecurity systematically in Canada for 10 years, it’s been a persistent problem much longer than that. The encouraging thing is that a lot of good evidence shows it doesn’t need to be that way. So what would a basic income do for food insecurity? A basic income won’t let people fall below a certain income level, and it very effectively limits food insecurity. The connection on that is very strong. Studies have also shown that improving incomes produces very definite changes in food security over a short period of time. In Newfoundland and Labrador, food insecurity among social assistance recipients dropped by almost half over five years, starting within a year of increases to income supports. Our group PROOF recently found that food insecurity went from 40 to 16 per cent among low-income adults who became eligible for old-age security at 65. So a secure and decent income can largely cut off food insecurity — and to a degree that increases in minimum wage, subsidized housing or small increases to welfare payments don’t do. There are two big criticisms of basic income. One is that we can’t afford it, and the other is that it creates a disincentive to work. Yes, it will cost money, but it’s important for Ontarians to get their heads around the trade-offs. Given the effects of food insecurity on health, I think we can’t afford not to do it. That said, we need more data on exactly how a basic income can reduce health-care and administrative social assistance costs, whether it limits encounters with the justice system and how it affects kids’ performance in school, among other things. Hopefully the pilot will answer some of those questions. As for the disincentive to work, that’s debatable. But it’s important to know that over half of families living with food insecurity in Ontario have jobs — the problem is with the quality and security of their employment and income. We have an opportunity in Ontario to make an important choice on the issue of basic income, and I hope the debate on it over the next few weeks reflects a true understanding of its costs and benefits.